A message marked by détente in a moment of great tension between Iran and Israel. On twitter, the head of Tehran diplomacy posted pictures of the festivities in the capital. In two years, the Israeli army has hit more than 200 Iranian targets in Syria. 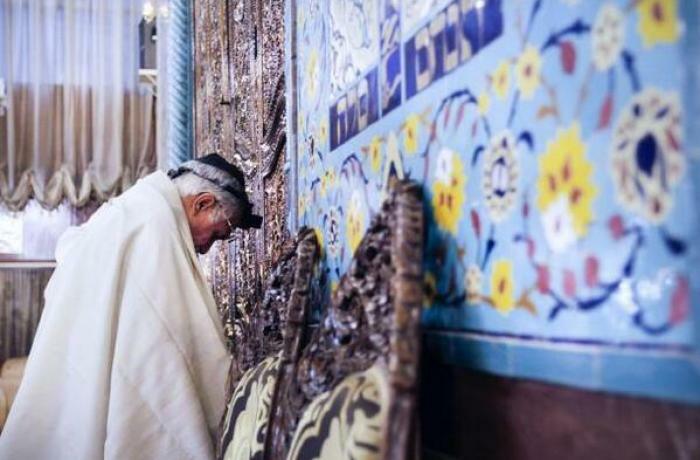 Tehran (AsiaNews / Agencies) - Iranian Foreign Minister Mohammad Javad Zarif, the great architect of the 2015 nuclear agreement, has sent tweet to the Jewish community in the country and around the world for the New Year (Rosh haShana) . A message marked by détente, in a moment of maximum diplomatic and military tension between the Islamic Republic and Israel. "As the sun gives way to the moon - writes the head of Iranian diplomacy - I wish all my fellow Jewish citizens and all members of the Jewish community in the world a happy New Year, full of peace and harmony". Happy Rosh Hashanan, concludes Zarif. He also relaunched images of celebrations by the Jewish minority in the capital. The greetings come in a context of deep tension between Iran and Israel. Last week, the Jewish state officially confirmed that it has launched more than 200 attacks against Iranian targets in Syria in the last two years. The government led by Prime Minister Benjamin Netanyahu does not rule out the possibility of targeting suspected Iranian military targets in Iraq. The Islamic Republic does not recognize Israel and threatens to attack targets of Israel and the United States in the event of an American offensive against Tehran Last May, Washington decided to impose new sanctions on Iran, the toughest sanctions in history , after pulling out (the JCPOA). Hence the significant decline in the Iranian economy after years of marked growth; at the expense of it, it was primarily the weakest and most vulnerable part of the population. In Iran, the Jewish community is officially recognized - as a religious minority, like the Zoroastrians - and can count on a seat inside the Parliament. Unofficial estimates report that there were at least 25 thousand Jews in the Islamic Republic (before the Islamic Revolution in 1979 there were 85 thousand). After Israel, it is the second largest and most important Jewish community in the Middle East. There are at least 11 synagogues in the capital, many of which have Jewish schools in them. Added to this are two kosher restaurants, a retirement home and a cemetery, as well as a library with about 20 thousand books inside. Finally, the Jewish community has created the largest hospital in the country (Dr. Sapir), realized thanks to private donations. Although he is Jewish, most of his patients are Muslims. For pope, Catholics and Jews are "brothers and sisters" with "a unique and special bond"